When faced with any large project or issue (it doesn’t matter what that project or issue is), it needs to be broken down into manageable parts. We can compare a project to a recipe, let’s say for, oh, I don’t know—cake 🙂 The “large project” is the completed cake, including frosting, of course. How do you end up with a tasty cake on your plate? First you figure out which ingredients you need, itemizing them as a list. Then figure out the amounts of each to further define your list, it becoming more precise and concrete. (You will not have a tasty cake without narrowing these things down first.) You then need to figure out the method of creating the cake and in which order to perform the steps. You can’t put the pan in the oven before you mix the batter, so this is pretty critical 😉 Once you have these in place, it enables you to focus and gives you the all-essential starting point —that quintessential “first step.” You then tackle the project, step-by-step, through to completion, and wa-la! Next thing you know, you’re digging your fork into a fudge-filled delight! Now, if for some reason it’s not as tasty as you thought it would be, you need to rework it—also step-by-step. That’s the nature of creating any new project or tackling an issue. I’d love to hear about how you go about tackling big projects or issues. Do you procrastinate indefinitely, dive right in without planning, or are you a list maker? Also, do you find success using your method? The cake image, through freeimages.com, is courtesy of www.pixelpusher.co.za, user: Lotushead. 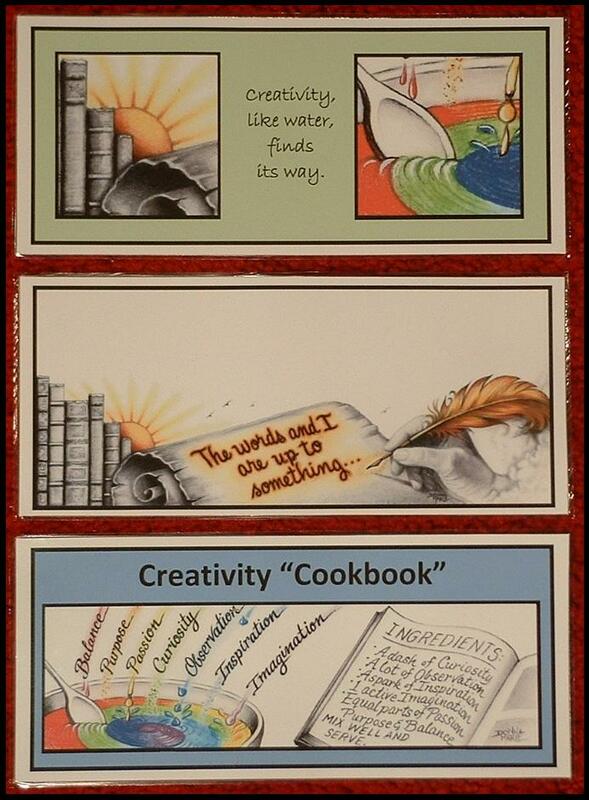 This entry was posted in Getting ORGANIZED, LEARNING and tagged bookmarks, Creativity Cookbook, focus, getting organized, giveaway, Leslie Zampetti, Rear in Gear by writersideup. Bookmark the permalink. Donna, Great post! This is an issue I frequently have with my son. Definitely helps to be more specific with questions. The timing too. Pick up at school is usually pure chaos. I find if I hold some of my questions till we’re clear of the pandemonium I have a better chance. 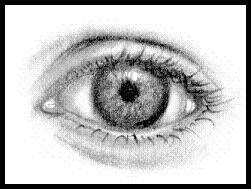 Firstly, talk to me about the pencil sketch “eye”… totally amazing – gee wiz!! What is the size/dimension of the original art? What material was it drawn on and with what instrument(s)? it’s quite lovely and compelling! Wow! Thanks for the details about the drawing… it’s incredible how much detail you can fit into such a small space. Fabulous! And as a matter of focus, it is a paradox of sorts… it is the most effective and elusive “law of the universe” for most people to manage. Focused intention and attention leads to traction and manifestation = results. If not kept in check, intense focus can lead to hyper-focus and extremism which can be very unhealthy. The more likely issue or challenge with focus in our fast-paced segmented world is attention deficit (focus deficit) which can be brought upon us from any number of external responsibilities and interruptions, or be self-imposed. Right now “eye” need to redirect my focus to my business plan! Bye all. Thanks, Chris, and you’re right. Anything to an extreme is pretty much self-defeating. Balance is the other thing that’s hard to achieve! Great analogy! It is certainly those times I fly by the seat of my pants that my “cake” comes out less-than-glorious. Luckily, I have a certain passion for office supplies. Any chance to use post its, 3 colors of ink, and a label maker gets me focused. I’m also starting to utilize Pinterest for organization. That takes more willpower, though, as it’s so easy to get distracted on there! Thanks, Katey 🙂 I, too, have a passion for office supplies. The back wall of our garage is my own personal “Staples” lol And I’ve heard of quite a few people using Pinterest in the way you do. Eventually I may try that! And yes, ANYthing online is a “danger for distraction”! Very interesting post and I agree with your traffic jam analogy. All of us, child and adult, can only handle so much information at any one time and must be fed it piece by piece accordingly. Information and memory retention differ within all individuals. I employ a person centred approach when communicating, tailoring the way I speak and how quickly I feed information, for each individual human being. This was a valuable tool of interaction I learned while working in mental health and special needs, both with adults and children. That makes sense, I hadn’t really considered it, having avoided having kids has helped somewhat with that though. I suppose we all crave simplicity, give us something easy to grasp, a good foundation and then it will all come together, like one of Hannibal’s plans in the A-Team. I know what life is like, always getting in the way of important things like blogging. I also need to go back and re-link but balk at such a laborious task. I could get organised but I like to pretend being a little haphazard is part of my charm. That is my excuse at any rate. A posting schedule never works in my experience no matter how hard I try. Focused is good as well though, it is always good to know what a particular blog does but I don’t complain about a bit of something different either. I’m pretty much easy in my approach to most things. I used to be a great list-maker. Now I tend to lose the lists I make. Sometimes when I find them, I have everything on them done. I am not sure how to get more organized just yet; perhaps your new blog can help! However, I really wanted to comment most upon talking to kids about their school days and reading lists. I totally agree with your “traffic jam” analogy. I would add to it that parents and other beloved adults may appear to not really “know” the child or teen by asking such general, open-ended questions. “What did you do in school today?” is kind of like “How are you?” Those questions show no prior knowledge of the life of the child or teen being questioned. They could be asked of a total stranger. I would use your recommendation of specificity AND tailor the question to the child or teen. For example, I might ask my achievement-focused niece, “How difficult was that Anatomy test compared to the last one you took?” Such a question would get little response from my “in-the-moment, forget-the-past” nephew. I have to talk to him about what he is doing RIGHT NOW. “Who are you playing this video game with? How did you decide to play it with him?” will get more information from him than any questions about earlier in the day! To learn about school, I have to ask questions about a PARTICULAR subject when he actually has a book or notes from that class in his hands and is getting ready to study. Susan, thank you so much for such a wonderful response, and I totally agree! The questions do need to be tailored, and you would expect the adult (certainly a parent) to know enough about the child’s activities to ask pertinent questions. As far as getting organized, I do hope that, at some point, I can put up more good info. Life just doesn’t allow time for the many things we want to do, right? Thanks again for this great comment, and I hope you entered the little raffle for bookmarks, too 🙂 If not, please do! Oh my, I would not survive without lists. 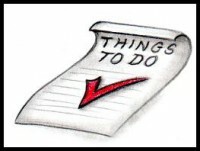 There is a fun free list program called trello that I use but I do usually end up going to my paper lists – so many throughout the house. 🙂 I usually ask questions like, “What was the best part of your day?” or “What was your least favorite part of the day?” I learn a ton that way, and it always springs into the other details of her day. They are beginning to slow down. I’m able to relax a bit and not feel stressed about it. 🙂 Thanks for asking.